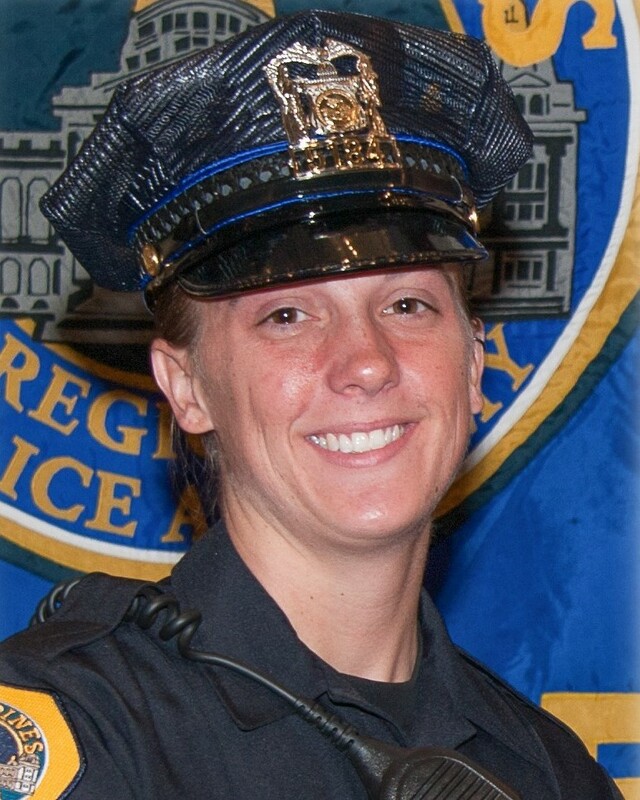 Des Moines Police will remember you as a sister in Blue. I will always remember you as a sister in Tan first. Your bright attitude towards life and your ability to turn everything you touch into a positive. Your family at Polk County Sheriff's Office will keep you and your family in our hearts forever. Until we meet again in Heaven's Roll Call, Be at Peace Sister. Rest in Peace my Sister. Though your watch on earth is done, Heaven has called you for eternal rest. Thank you for your entire service here in Iowa. My prayers are with you, your family, and fellow brothers and sisters in Blue. On behalf of the Westerville, Ohio Division of Police, our thoughts and prayers are with the immediate family of Police Officer Susan Farrell and the extended law enforcement family of the Des Moines, Iowa Police Department. End of Watch: Wednesday, March 26th, 2016. We will see you again Ma'am. Lord God, you are always faithful and quick to show mercy. Our Sister-in-Blue, Police Officer Susan Farrell, of the Des Moines, Iowa Police Department, was taken from us suddenly and violently in the Line-of-Duty. Come swiftly to her aid, have mercy on her, and comfort her family, friends, and colleagues by the power and protection of the Cross. Heavenly Father, as we mourn the death of our Sister-in-Blue, Police Officer Susan Farrell, show us the immense power of your goodness and strengthen our belief that she has entered into Your presence. We ask this through Christ our Lord. Amen. "Prayer Warriors: We Fight on Our Knees!" Deepest sorrow for the loss of these officers. Needless deaths serving our communities to the end. May we never forget there service. May God support you and your family during this time of loss. We all support you. RIP Ma'am, your watch is complete, and you have proformed well. But you have been called home now, your Brothers and Sisters will take over your watch from here. OFficer Farrell may GOD Grant you peace, and may HE give conform to your family and fellow Officers. So sorry your life was taken so tragically. You, your partner and the prisoner did not deserve to die this way. May justice be served. RIP. may GOD have mercy on their souls and comfort to the families and the Des Moines Dept. on this Easter Weekend. We haven't lost a officer with the Des Moines Police Department since 2008. This is horrible what happened but know you will be missed and remembered...RIP Officer. Rest in peace Officer Susan Farrell. Thank you for your service and ultimate sacrifice! Our thoughts, prayers, and hearts go out to your family and friends. May God comfort and strengthen them all! Thank you for your service to the City of Des Moines and the State of Iowa. May God's arms wrap around you, your partner and your families in this hour. The National Police Wives Association would like to extend their heartfelt prayers to the family of Officer Farrell and the Des Moines Police Department during this time. Thank you, Officer Farrell, for your service. Again an American hero has passed into history. It is with great pain we say good bye to those brave hero’s who protect us from evil. May God comfort those who morn their passing an may God protect those who serve.